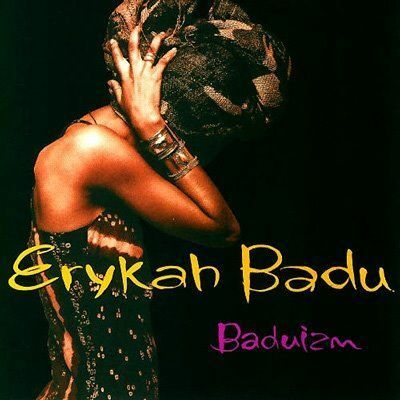 GossipWeLove | Pop Culture and Entertainment News Site: Erykah Badu It's Your 41st Birthday! 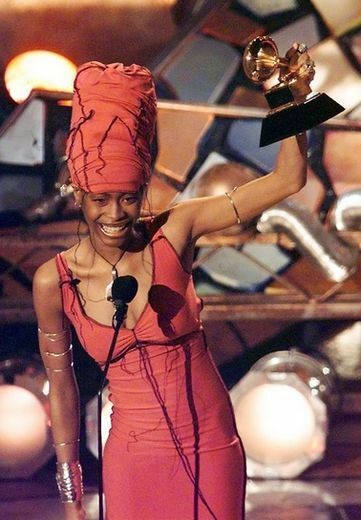 Erykah Badu It's Your 41st Birthday! 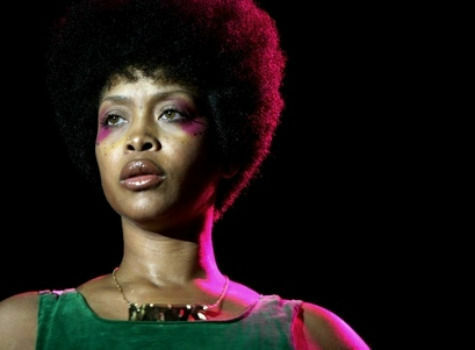 Today Erykah Badu celebrates her 41st Birthday! The free-spirited Badu was born Erica Abi Wright on February 26, 1971 and she's been bringing us her brand of funky neo-soul since 1997. As Erykah enters into her fierce and fabulous 40s, we'd just love to say, "rock on, sister!" 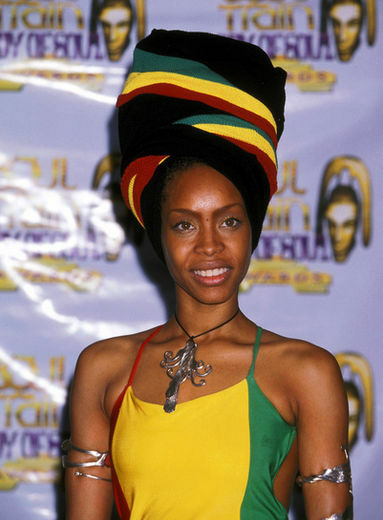 Christened as the queen of the neo-soul movement, Badu was rarely seen without her signature headwrap during the early days. Since retiring the cloth, she continues to switch it up between afros, short naturals, dreads and every hairstyle in-between. 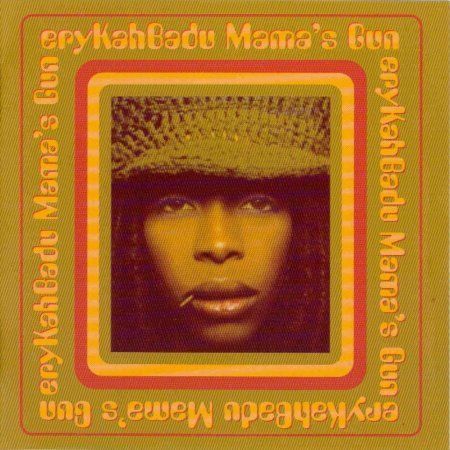 On her sophomore studio album, “Mama’s Gun,” Badu seemed to be looking inside herself for the answers. “Orange Moon” and “Cleva” were standout tracks, but we couldn’t turn away when she rocked a shaved head in the video for “Didn’t Cha Know.” The year was 2000 and a new Erykah was emerging, right before our eyes. 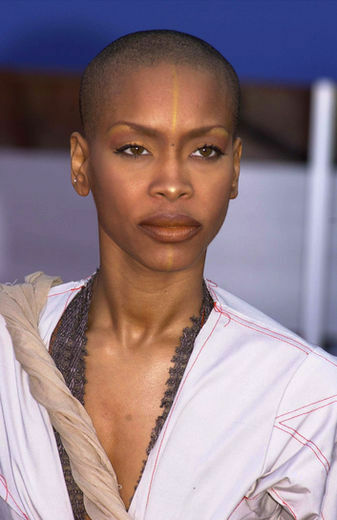 Erykah arrived at the 2001 Grammys with a shaved head and subtle, tribal-esque make-up. She proved, yet again, that she was one of the boldest, most beautiful artists on the scene. 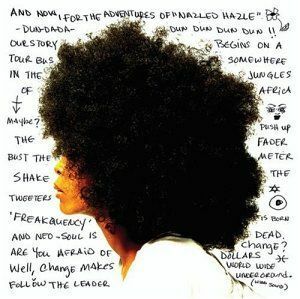 After keeping her hair close to her scalp for a bit, Badu decided that she was going to bring back the afro…and so she did, rather fabulously. By the time Badu released the funk-laden “Worldwide Underground” in 2003, it was evident that her creativity and versatility were boundless. Led by the head-banging single, “Danger,” this collection should always be on heavy-rotation. No matter how she styles her hair, which colors adorn her skin or what outfits she chooses to wear, Erykah Badu’s pure essence always shines through. Fresh into the new year and a year to remember for music fans, as the legendary Erykah Badu will be in Kuala Lumpur, for her first ever concert in Malaysia. 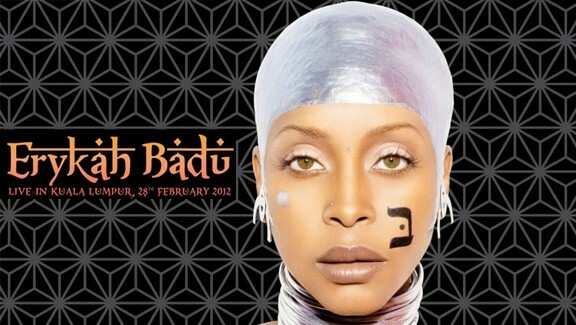 Erykah will be Live in Kuala Lumpur at Plenary Hall, Kuala Lumpur Convention Center on 28 February 2012.